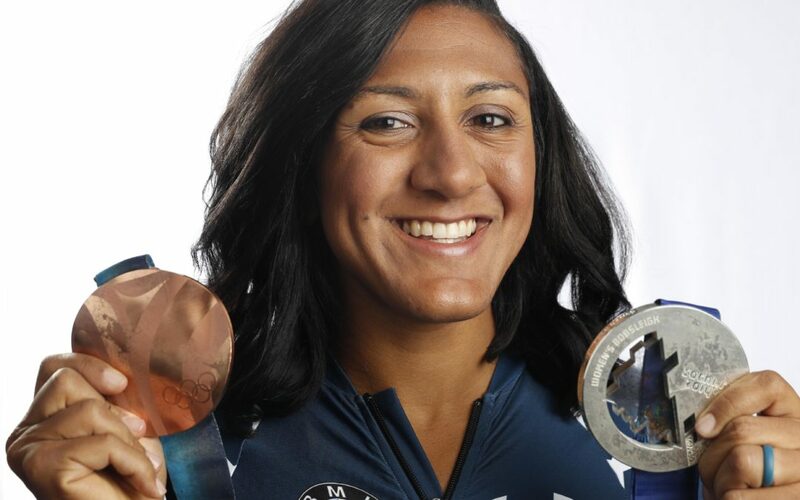 Just days before qualifying for her third Winter Olympics in bobsledding, Elana Meyers-Taylor called in to our NBC Sports Washington podcast studios to chat with me. What a weekend it was for the Centennial Conference at Johns Hopkins University. In three days, the top-seeded Blue Jays hosted 12 games which featured four different sports. 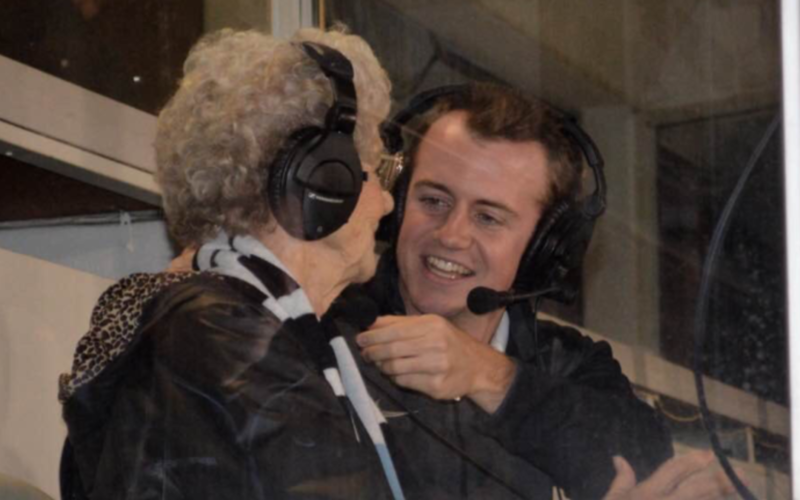 Last night wrapped up my first full season broadcasting collegiate soccer. It was Championship Sunday in Baltimore – what every athlete dreams of. A conference title was on the line and the Blue Jays of Johns Hopkins faced off against the Garnet of Swarthmore on a dreary November night. The competition and game atmosphere was anything but dreary. Swarthmore went into halftime with a healthy 2-0 lead. 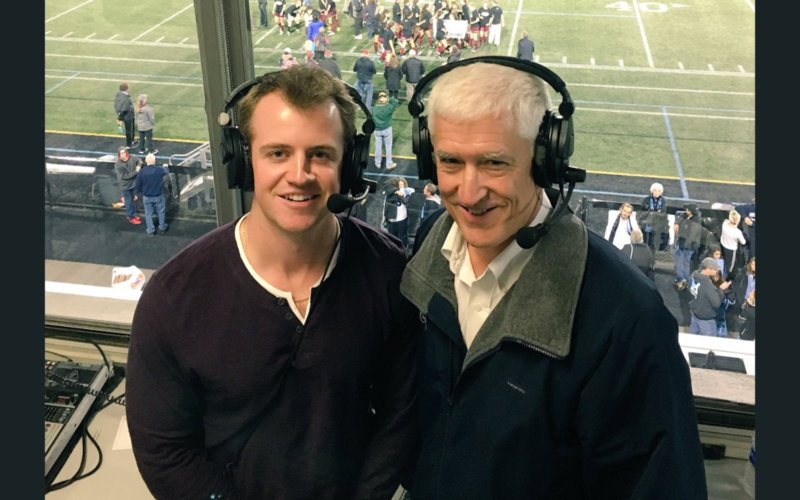 As Centennial Conference Commissioner Steve Ulrich shared with me in the broadcast booth, no team trailing 2-0 in Centennial Conference playoff history had ever come back to win. And that statistic would not change. 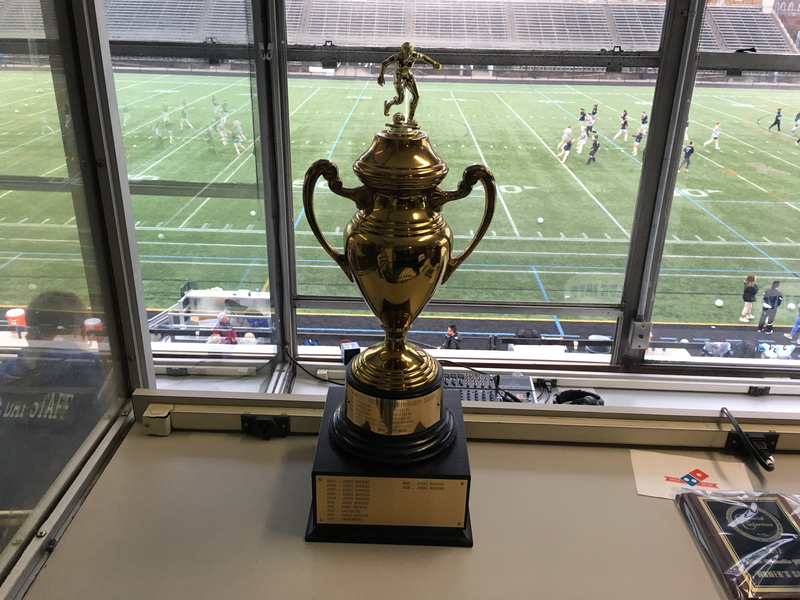 The Blue Jays, however, kept things interesting scoring two emphatic second-half goals to send the title game into overtime. 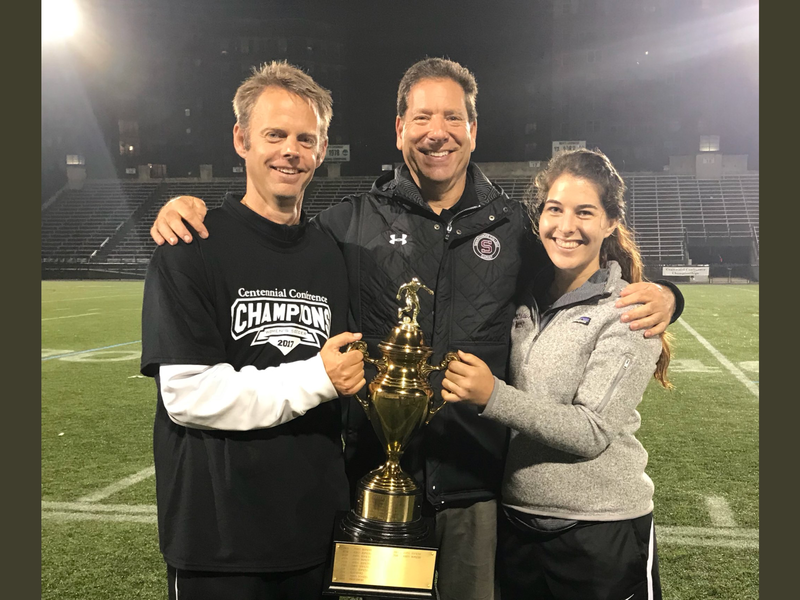 Ultimately the second-seeded Swarthmore Garnet would defeat the Blue Jays in a thrilling sequence of penalty kicks under the lights in front of a packed Homewood Field. For Coach Anckaitis (pictured below) and the Garnet, it’s their first Centennial Conference title since 2014. Ironically, their opponent was Johns Hopkins that year. Both Johns Hopkins and Swarthmore will play in the NCAA DIII tournament and represent the competitive Centennial Conference. On a personal note, broadcasting Championship Sunday was a thrill. There was a different type of atmosphere than what I was used to calling games in during the regular season. The amount of heart and grit you see in these players is sometimes hard to do justice to over the air. They simply love the game of soccer and pour every ounce of effort they have into one single game. I had a blast getting to know the Hopkins fan base this season and familiarizing myself with many of the teams in one of the most competitive conferences in DIII soccer. Fall soccer season at Johns Hopkins University has been a successful run for the Blue Jays as men’s and women’s soccer have gone a combined 29-3-3. Both teams are set to host the Centennial Conference Championships at Homewood Field this weekend. 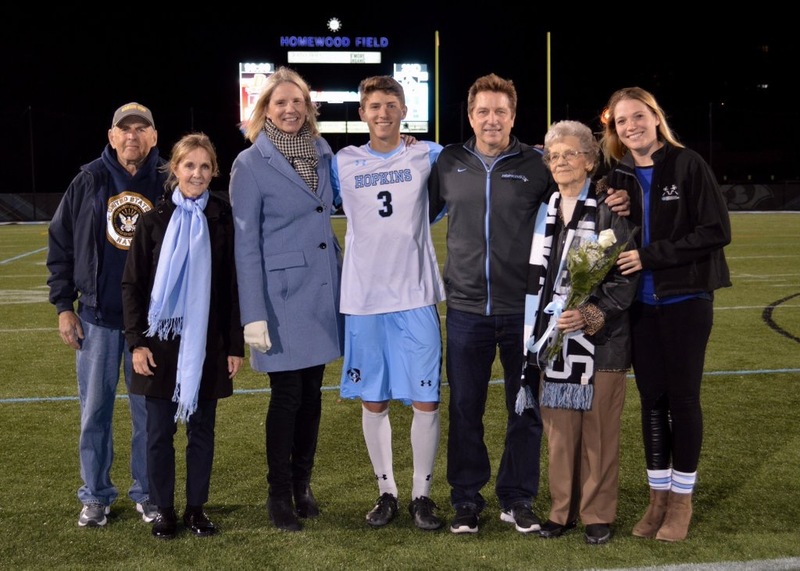 This past Friday was senior night at JHU for the men’s side. Family, friends and fans of the game packed the stands at Homewood. 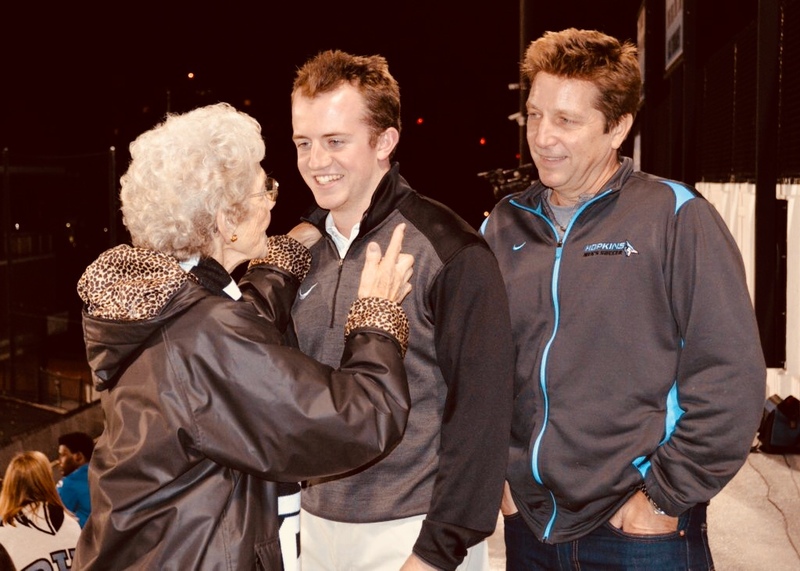 Among the crowd was 94-year-old Sophie Swiercz, who beamed with pride as her grandson Mikey Swiercz played his final regular season game in the blue and white. At the start of the second half, with Johns Hopkins leading by a goal, Mrs. Swiercz joined me in the booth to make her broadcasting debut as a color commentator. What happened next is a moment I am still trying to wrap my head around. Within the first couple minutes of Mrs. Swiercz on the air, the Blue Jays were awarded a penalty kick. And who would be chosen to take the kick? Mr. Mikey Swiercz. Sophie’s grandson. On senior night. I truly cannot stop watching this video. These are the types of moments sport delivers. These are the types of moments a young broadcaster like myself dream of. I had a blast. And I hope Mrs. Swiercz did, too. Check out Johns Hopkins soccer this weekend on HopTV, which can be streamed right here: https://portal.stretchinternet.com/jhu/. 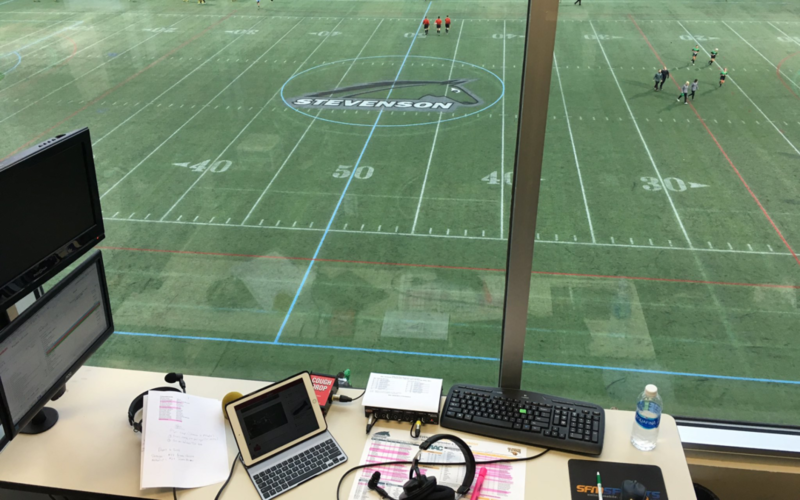 So far this fall, I have broadcast 20 collegiate soccer games at the DIII level, between Johns Hopkins and Stevenson University. When all is said and done, I will have broadcast over 30 soccer games at the end of the fall. Broadcasts streamed through Johns Hopkins can be viewed on HopTV and broadcasts at Stevenson are streamed through the Mustangs Sports Network. I am the play-by-play broadcaster for all four soccer teams (men’s & women’s) and do not have a color analyst with me in the booth. Not having a partner on the air has its challenges. It essentially means I am filling 90 minutes (not including halftime or overtime periods) of airtime on my own and fulfilling the analyst’s role. On doubleheader days, I barely have a voice. HOWEVER, I have honed my craft this fall and have vastly improved my delivery. One thing both universities have given me the flexibility to do is build my social media brand during broadcasts. During games, I hop on Facebook and/or Instagram to go live so my followers get a glimpse of what it’s like for me in the booth. It gives people a behind-the-scenes look into the broadcast. Another fan-engagement strategy I practice during broadcasts is posing game-related questions to the viewer. I have seen an increasing amount of engagement and involvement on Twitter, specifically. Not only does this reassure me people are actually listening, but it also sets a tone for the broadcast and is a great piece of motivation to enter ‘lock-in’ mode. ‘Lock-in’ mode is what I call the state of mind I enter before a broadcast. It’s completely immersing myself into the game and the story lines surrounding the competition that given day. As I move forward past the fall soccer season, my sights are set on landing play-by-play reps at a Division I institution. 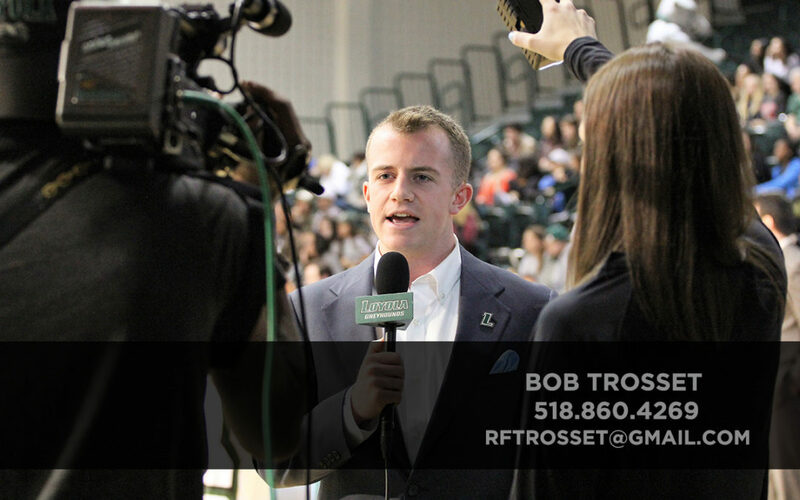 If you or someone you know is looking for freelance broadcasters for the upcoming winter and spring collegiate sports seasons, please reach out to me at rftrosset@gmail.com. Johns Hopkins soccer can be live-streamed for FREE here: https://portal.stretchinternet.com/jhu/. Stevenson soccer can be live-streamed for FREE here: http://www.gomustangsports.com/sports/msoc/2017-18/livevideo/20171020. Stay up to date with me on Twitter and Instagram @BobTrosset – thank you! The annual Jim Nantz Award is given to the nation’s top collegiate broadcaster and determined by a panel of professional broadcasters from a variety of backgrounds. After three years of failing to place nationally, my demo reel earned an honorable mention in this spring’s competition. I’m honored to be the first student from Loyola University Maryland to place nationally. I know there will be more in the near future. Thank you to Jon and his team for the recognition. I understand and respect the prestige that comes along with this honor and am driven by the fact that several former collegiate broadcasters who placed have gone on to earn big-time jobs in the industry.